How Often Do You Calculate Your Portfolio’s Rate of Return? A reader recently asked how often I calculate my portfolio’s rate of return. The impact of the timing of my purchases. With regard to the first component, there’s no need for me to do any calculations myself. I can just look up the information on Vanguard’s website or Morningstar’s website. In other words, the only additional information that I would gain via calculating my portfolio’s return is information about how well I’ve done with timing my purchases. Now, as a bit of background information, my oh-so-clever strategy for timing my mutual fund share purchases is to buy shares shortly after I get paid. That’s it. In other words, I’m making absolutely no attempt to optimize the timing of my purchases. Sometimes that works out well (e.g., contributions in early 2009); sometimes it works out less-well. But it’s pure luck. And data about how lucky or unlucky I’ve gotten with the timing has no value in terms of telling me what I should expect going forward. If I was trying to time my share purchases at opportune moments, information about how well I’ve done could be helpful. But I’m not trying to do that. If I was trying to pick stocks with the intention of outperforming the overall market, information about how well I’ve done could be helpful. But I’m not trying to do that. If I was trying to jump back and forth between asset classes at just the right times, information about how well I’ve done could be helpful. But I’m not trying to do that. If I was trying to pick the hottest fund managers every year, information about how well I’ve done could be helpful. But I’m not trying to do that. For what I am trying to do — build wealth by aggressively dumping money into a low-cost all-in-one fund which I then proceed to ignore — information about my portfolio’s performance just isn’t that useful. In addition to subsidies for health insurance premiums that we discussed last week, the Affordable Care Act also provides for subsidies (for qualifying people) that actually improve the health insurance itself — by reducing deductibles, out of pocket maximums, and copays, for instance. These subsidies are collectively referred to as “cost-sharing reductions” because their net result is that they reduce the share of your healthcare costs for which you will be responsible. Your “household income” must be below a certain level (discussed below). Of note: “Household income” is defined the same way for this purpose as it is for the purpose of calculating the premium subsidy credit. Between 100% and 200% of the federal poverty level, the out-of-pocket maximum on your plan will be reduced by two thirds. 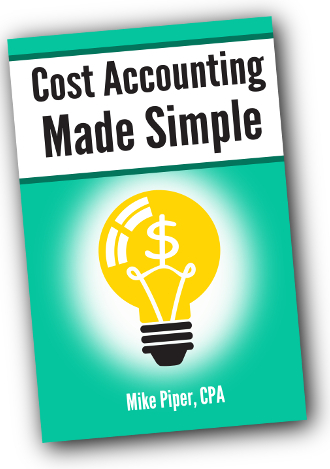 The other type of cost-sharing reduction requires a bit more explanation. Under this subsidy, if your household income is below a certain level, the “actuarial value” of your silver plan must be increased to a certain level. The “actuarial value” of your plan is the percentage of expected healthcare costs that the health insurance company expects to have to cover. For example, for people with a household income above 400% of the federal poverty level (i.e., people who do not qualify for a subsidy), the actuarial value of silver health insurance plans is 70%, meaning that the health insurance company expects that, via deductibles, copays, and coinsurance, customers of this silver plan will pay, on average, 30% of their own healthcare costs, leaving the insurance company responsible for 70% of the expected costs. Between 100% and 150% of the federal poverty level, the actuarial value of your silver plan will be increased to 94%. One complicating factor about this cost-sharing reduction is that the insurance companies have the choice to implement it however they want. For example, to increase the actuarial value of silver plans (to 87%) for people with household incomes between 150% and 200% of FPL, the insurance company could use any combination of lower copays, lower deductibles, lower coinsurance percentages, and lower out-of-pocket maximums that makes the math work. From a tax planning perspective, the big takeaway of the above is that, for those purchasing insurance on the exchanges, not only can you achieve significant savings by getting your household income below 400% of the federal poverty level (e.g., by making deductible contributions to HSAs or retirement accounts or by living off Roth savings in early retirement), you can achieve additional savings if you can get your household income below 300%, 250%, 200%, or 150% of the federal poverty level. Technical note: Interestingly, as far as I can tell, there is a timing difference between this subsidy and the premium subsidy credit. For the premium subsidy credit, it is your income within a given year that determines whether you qualify for the credit that year. Per PPACA sections 1402(f)(3) and 1412(b)(1), however, for the cost sharing reduction subsidy, it is (usually) your income “for the most recent taxable year for which the Secretary, after consultation with the Secretary of the Treasury, determines information is available” during the enrollment period that determines your eligibility. In other words, for people enrolling right now (or at the end of last year) for 2014, it sounds like it is (in most cases) their 2012 income that would determine eligibility. Administrative note: We discussed this topic last summer, but I thought it would be worth addressing again, given that this is easily the topic I’ve been asked about most frequently over the last couple of months. The Affordable Care Act (ACA) creates a new tax credit for certain taxpayers who buy health insurance via one of the new insurance exchanges. The goal of the credit is to subsidize the cost of health insurance for people who might not otherwise be able to afford it. To be eligible for the credit, your “household income” must be between 100% and 400% of the federal poverty level. For example, in 2013, 400% of the federal poverty level would be $45,960 for a family of one, or $62,040 for a family of two. Many people are under the impression that there is still some uncertainty about what is included in “household income.” To be clear: There is no uncertainty. The actual Internal Revenue Code section that provides the rules for the credit (section 36B) is very explicit about how household income is calculated. “Household income” is defined in 36B(d)(2) as your modified adjusted gross income (MAGI) plus the MAGI of anybody else included in your household (i.e., your spouse and dependents). The definition of MAGI, however, is what is confusing so many people. They key point to understand here is that there are many different definitions of MAGI. For example, MAGI is calculated one way for the purpose of determining eligibility to make Roth IRA contributions, another way for determining eligibility for claiming education credits, and yet another way for determining eligibility for the ACA subsidy credit. Any Social Security benefits that were excluded from AGI. You must have purchased your insurance (or insurance for your spouse or dependent) on one of the ACA-created exchanges. You cannot be claimed as a dependent on anybody else’s tax return. One important point to note is that the credit is calculated on a monthly basis. In other words, you do not have to qualify for the entire year in order to be eligible for the credit. If your annual income is such that you would qualify and you meet the other the requirements for, say, 4 months, then you will be eligible for 4 months worth of the credit. For details on how the credit is calculated, please see this prior article. In tax-related email conversations, I often encourage people to read the applicable section(s) of the Internal Revenue Code. 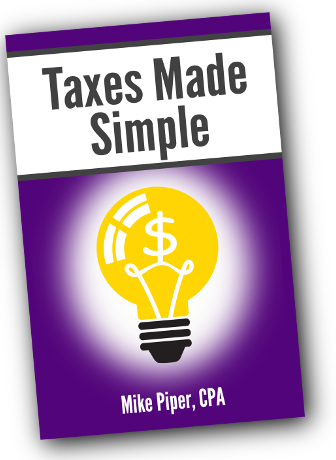 It’s not the easiest reading on the planet, but when you have a tax question for which you need a truly definitive answer, the IRC is your best bet. At least on my browser, the first or second result for each of those searches is the Cornell page with the relevant Code section. Many retirees make suboptimal Social Security decisions. For example, for the higher earning spouse in a married couple, claiming as early as possible could typically be described as “unlikely to be the best decision.” But how the decision actually plays out will depend on how long each spouse lives, the investment returns they earn on their portfolio, and a few tax considerations. 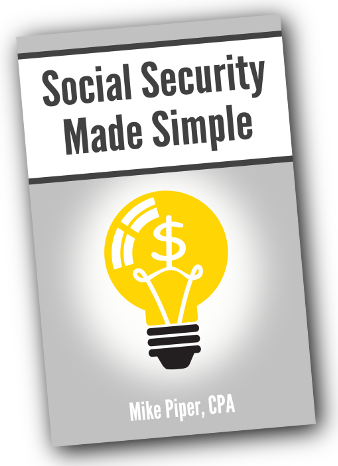 But sometimes married couples will even choose a Social Security strategy that cannot possibly be the best approach, because there is another strategy that works out better in every single possible scenario. Strategies in which both spouses claim retirement benefits somewhere near the middle of the 62-70 range are often in this can’t-possibly-be-ideal category. Consider a married couple: Bob and Jane, both retired and both age 60. Bob has a slightly higher earnings history, so his primary insurance amount (that is, the size of the monthly retirement benefit he would receive if he claimed his retirement benefit at his full retirement age) is higher than Jane’s. Specifically, Bob’s PIA is $1,200 while Jane’s is $1,000. Strategy A: They both claim their own retirement benefit at their full retirement age of 66. Strategy B: Jane claims her retirement benefit when she reaches age 62. Bob files for his benefit as Jane’s spouse when he reaches age 66. Bob files for his own retirement benefit at age 69. Under Strategy A, Bob and Jane receive nothing until they reach age 66. From then on, they will receive $2,200 per month (Bob’s PIA, plus Jane’s PIA). After either spouse dies, the surviving spouse will receive $1,200 per month. Under Strategy B, Bob and Jane will receive $750 per month starting at age 62 (Jane’s retirement benefit, reduced to 75% of her PIA for claiming 4 years prior to her full retirement age). Four years later, Bob reaches his full retirement age of 66 and he files for his benefit as Jane’s spouse ($500, calculated as 50% of Jane’s PIA), giving them a total of $1,250 per month. 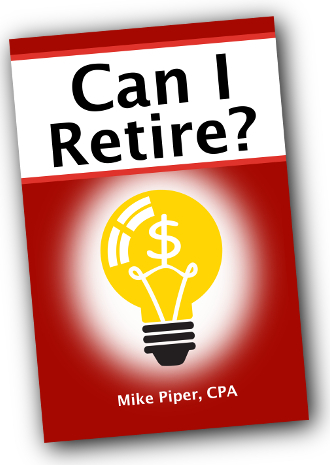 Three years later, Bob reaches age 69 and he files for his own retirement benefit ($1,488, calculated as 124% of his PIA, due to having delayed 3 years beyond full retirement age), giving them a total of $2,238 per month (Jane’s $750, plus Bob’s $1,488). After either spouse dies, the surviving spouse will receive $1,488 per month. Which Strategy Comes Out Ahead? By the time they reach FRA, under Strategy A they will have received nothing. Under Strategy B, they will have received $36,000 (Jane’s $750, times 48 months). By the time they reach age 69, under Strategy A, they will have received $79,200 ($2,200 per month, times 36 months). Under Strategy B, they will have received $81,000 ($36,000 received by age 66, plus 36 months of $1,250 per month). From age 69 onward, while both spouses are still alive, under Strategy B they will receive $38 more per month than they would receive under Strategy A. After either spouse dies, under Strategy B, the surviving spouse will be receiving $288 more per month than under Strategy A. In other words, Strategy B starts off with a big lead. Strategy A almost catches up from age 66 to 69, but it never quite makes it. And, after that point, Strategy B’s lead begins to grow again. When the higher-earning spouse holds off on taking benefits, it increases the amount the couple receives as long as either spouse is still alive. When the spouse with the lower earnings record holds off on taking benefits, it only increases the amount the couple receives as long as both spouses are still alive. As a result, it only rarely makes sense for each spouse to do an equal amount of “waiting” past age 62. Instead, a good starting point for planning is to consider a strategy in which the lower earner starts at 62 and the higher earner starts at 70 (generally using either the “file and suspend” or “restricted application” strategies between FRA and 70, if applicable). Then, if you need more early cash flow than the 62/70 strategy provides, consider having the higher earner take somewhat earlier. Alternatively, if you can get away with less early cash flow, and you’re concerned about longevity risk, consider having the lower earner wait past age 62.